supposed to do on Veterans Day. I know it is a day to honor all the brave women and men who have served our country in the armed services – but it was never more specific than that for me. Until now. t calls for a Justice Bus response! Of course there were some possible obstacles – but we quickly solved them. 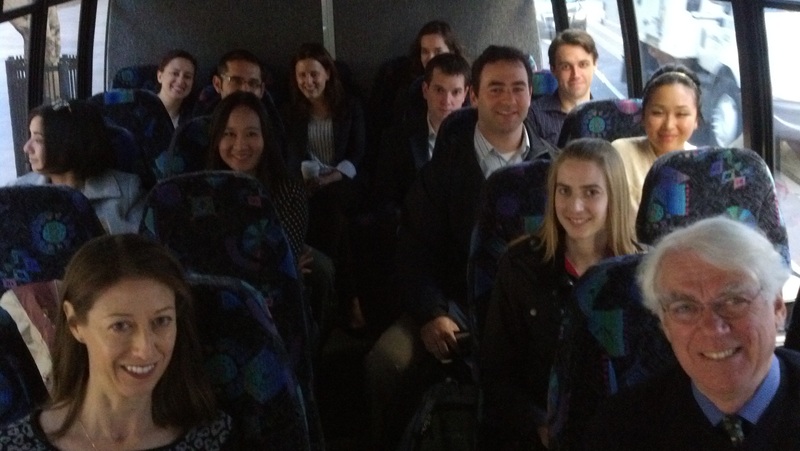 Yes, it will be the farthest we’ve ever taken the Justice Bus Project- but University of San Francisco Law School readily agreed to have their students travel the distance to help. Never mind that we need a new nonprofit partner – we had already been talking to Swords to Plowshares about working together to do Justice Bus trips to serve veterans in rural and isolated parts of Northern California. 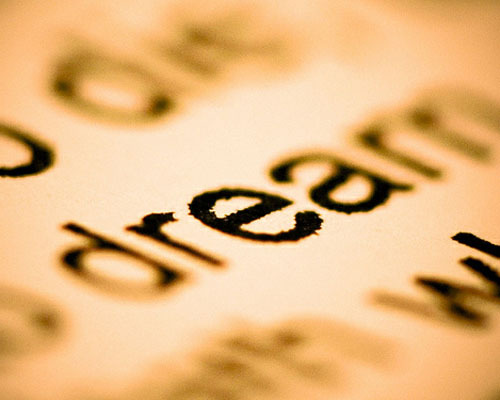 e youth are known as DREAMERS, after the Development, Relief, and Education for Alien Minors (DREAM) Act (pending in Congress). These kids entered the United States as children under the age of 16, have lived here for at least five years, and are either in school, have graduated from high school, earned a GED, or served in the military. For many of them, the United States is the only country they have ever known as their home. Can you imagine raising your kids in a home with no heat, damaged walls, doors that let in rain, broken windows, and filthy flooring? That’s what the Chavez family was doing – and it is why I am so thankful I had the privilege of being their pro bono lawyer. 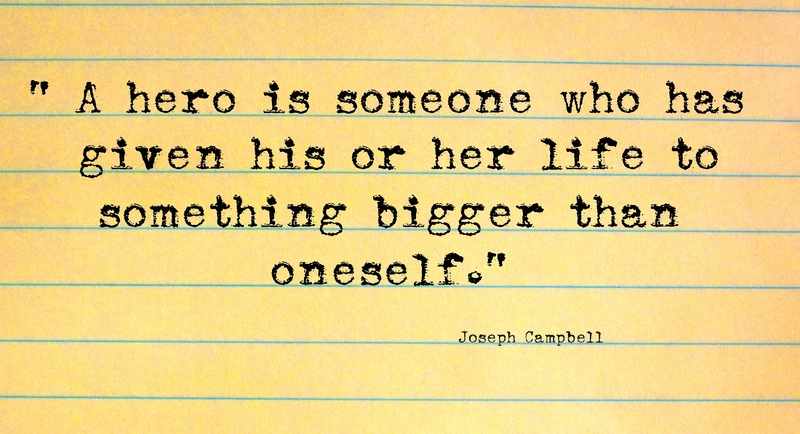 Happy National Pro Bono Week! Created by the American Bar Association, Pro Bono Week focuses the nation’s attention on the increased need for pro bono services during these challenging economic times and celebrates the outstanding work of lawyers who volunteer their services throughout the year. Here in California we celebrate the work of the law students and attorneys who donate thousands of hours to bring more free, life-saving legal help to Californians in need. 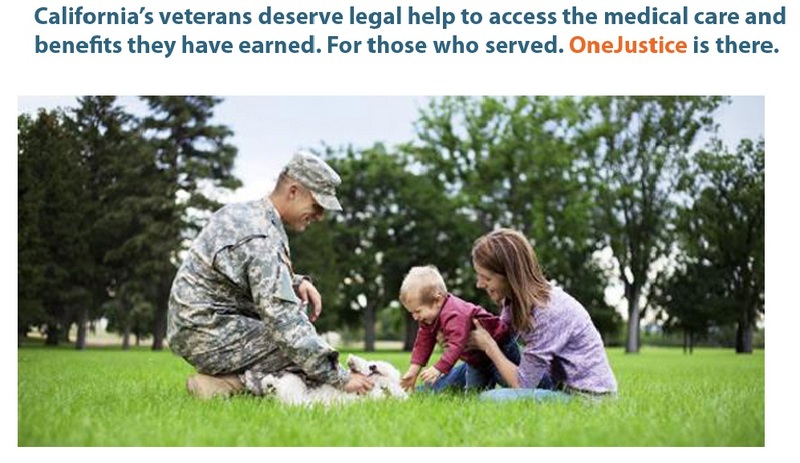 At OneJustice, we believe these volunteers are heroes – and we are proud to bring the following guest blog post from our very own hero, Advisory Board member Marley Degner. 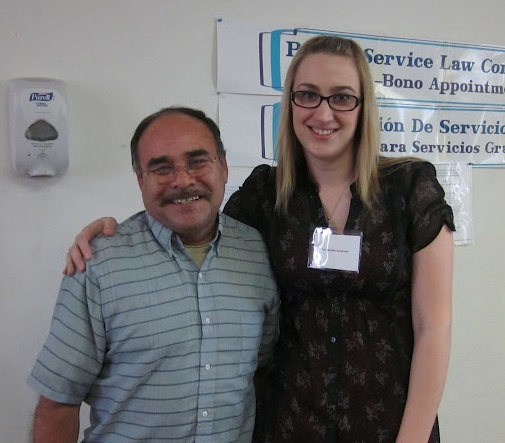 Guest Blog: Preventing Homelessness for the Chavez Family – My First Pro Bono Case. Marley Degner, Associate at Pillsbury and OneJustice Advisory Board Member, prevented the Chavez family from becoming homeless and fought for 7 months for their housing rights. I met Mauricio and Sugey Chavez as a new attorney at the law firm of Pillsbury Winthrop Shaw Pittman LLP. It took seven long months – from November 2007 to May 2008 – to help them stabilize their housing, but doing so was one of the most rewarding experiences in my career. Mauricio and Sugey were a young couple with three young children and a fourth on the way. The Chavez family was seeking help in fighting their landlords’ attempt to evict them from their apartment. Mauricio had grown up in the apartment, lived there for 18 years, and even married Sugey in the living room. They went first to the Lawyers’ Committee for Civil Rights for help and were referred to my law firm – Pillsbury – for pro bono assistance. Their case was the first pro bono matter, and indeed one of the first cases, that I took on as a new attorney. Most eviction cases are resolved quickly, but not this one. First, the landlords attempted to evict the family on the basis of trivialities (such as saying that the family set out the garbage in the wrong place) and trumped up allegations – like the family had a dog and set up a satellite dish, even though the landlord had previously agreed to both. Here is what was really going on. The apartment had a wide array of serious problems – and the Chavez family had finally gotten up the courage to complain. 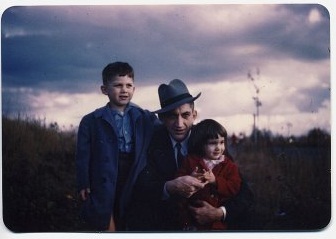 In fact, Sugey called the Department of Building Inspection, and when the Inspector came out he found numerous building code violations, including that the apartment lacked any source of heat, that the walls were damaged and poorly repaired, that one of the doors had a hole that admitted rain, that the ceilings and many of the windows needed to be repaired, and that the flooring was damaged and filthy. And what did the landlords do after being cited for these violations? They filed the paperwork to evict the Chavez family and their children – and they even had the audacity to tell the family they were being evicted for costing them so much money. National Pro Bono Week, October 22-27, celebrates the outstanding work of lawyers who volunteer their services throughout the year. And that is why it was so important that the Chavez family had access to representation by an attorney. By demonstrating the eviction was retaliatory and without good cause, I got the case dismissed. I also negotiated a Settlement Agreement that forced the landlords to make all the repairs identified in the inspection, make additional renovations to improve the apartment, and even lower the monthly rent. This was a major win for Mauricio and Sugey – the promise of finally having appropriate living conditions for their children. Before the repairs could be completed, however, the apartment became infested with mold after the ceiling leaked during a rainstorm. Mauricio and Sugey’s youngest daughter suffered a severe allergy attack. The landlords informed the family that they had to temporarily relocate (so the landlords could make more extensive renovations), but assured me that the family could reoccupy the apartment once the work was completed. But then the landlords tried to back out on the deal – they served the family with a Notice to Vacate that did not allow them to return to their home. Once again, I was able to step in and protect Mauricio and Sugey’s rights, and the landlords rescinded the notice. But then the landlords announced that they were going to ask the San Francisco Rent Board for a substantial rent increase, despite the Settlement Agreement where they agreed to a reduced rent amount. At this point, Mauricio and Sugey were so tired of dealing with the landlords’ behavior that they were open to negotiating a new agreement to move out of the apartment all together. Consistent with the family’s wishes, I negotiated a buy-out of their tenancy for approximately $25,000. The family used the settlement payment to secure a home loan—and Sugey Chavez gave birth to the family’s fourth child, Giselle. Preventing Homelessness: Each year the network of legal services nonprofits that OneJustice supports provides free legal help on housing matters to over 58,000 low-income families. What I will always remember about the case was how grateful the Chavez family was for Pillsbury’s assistance. Sugey told me that she had never had anybody in her life to fight for her the way that I fought for her family, and she was deeply touched. It made a huge difference that they had attorneys fighting for them – and I am very thankful that I was able to be one of those attorneys. I had always known that I would be involved with pro bono work as an attorney, and working with Mauricio and Sugey Chavez reaffirmed that commitment. I have been active in pro bono cases ever since and it is a vitally important part of my professional life. I am involved with OneJustice because OneJustice exists to make sure that people like the Chavez family have access to legal representation. I do not know what would have happened to them if they had not been able to secure pro bono help – and quickly – after receiving the first eviction notice. Their landlords were furious at them for calling the Building Inspector and were determined to use the legal system to evict the family or to raise their rent when the health and safety of the family was threatened by their living conditions. 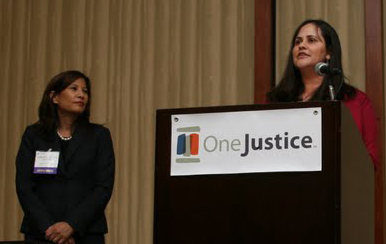 People like the Chavez family depend on organizations like OneJustice to survive, and that’s why I’m so proud to serve on the OneJustice Advisory Board. What do a gymnast, board game addict, and foodie have in common? 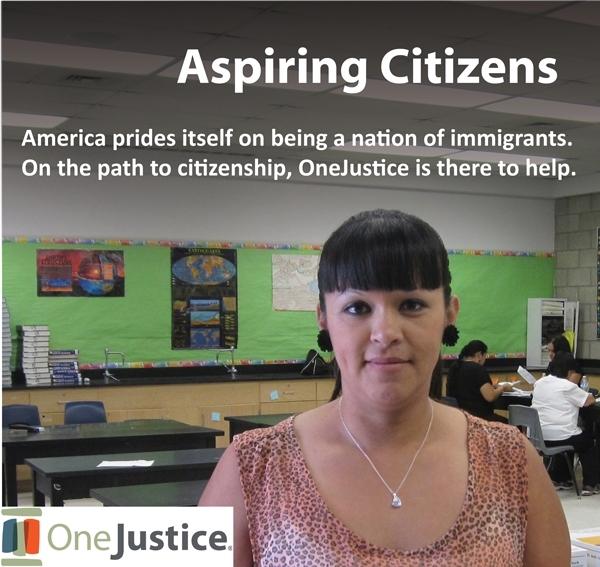 They all believe passionately in removing barriers to justice – and so they just joined the staff team at OneJustice! Meet Lauren Roberts, Stephen Downey, and Renae Getlin – the newest members of the OneJustice team – and they also happen to be a foodie, former gymnast, and board game addict! Which one is which? Continue reading to find out! (And you can always see our entire staff team on our website!). Meet Lauren Roberts, new Equal Justice Works AmeriCorps Fellow, working on the Justice Bus Project in Northern California! Q: Lauren, what drew you to the work of OneJustice? A: I was aware of OneJustice’s great work throughout law school – in fact I got my summer 2L job through OneJustice’s annual Public Interest/Public Sector Career Day! OneJustice is uniquely positioned to assess legal needs in rural and isolated areas of California and to connect law students and pro bono advocates to legal services organizations in order to meet that need. I was thrilled to become a part of the OneJustice team after graduating from law school, since my position at OneJustice perfectly combines my passion for public interest legal work and organizing. Q: What will you be responsible for at OneJustice – and what do you hope to achieve? A: I will be responsible for running the Justice Bus Project in Northern California. Through this position, I will continue to connect pro bono legal advocates with legal services in Northern California to help meet legal needs in rural and isolated areas of the state. 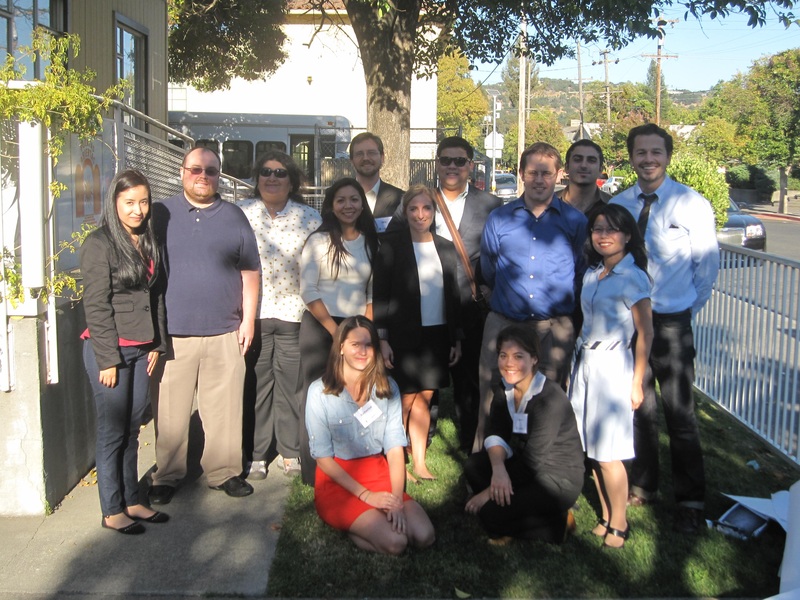 This year, I plan to bring the Justice Bus project to new areas of Northern California and continue to expand OneJustice’s law school and pro bono partnerships. Q: What did you do before coming to OneJustice? A: I graduated from UC Davis School of Law in May 2012. During law school, I was heavily involved in the public interest community and spent my two summers working at the Resettlement Legal Aid Project in Cairo, Egypt, and the California Appellate Project in San Francisco, respectively. Q: Tell us something else about yourself! A: I was a gymnast for fifteen years and later became a dance major at UCLA. 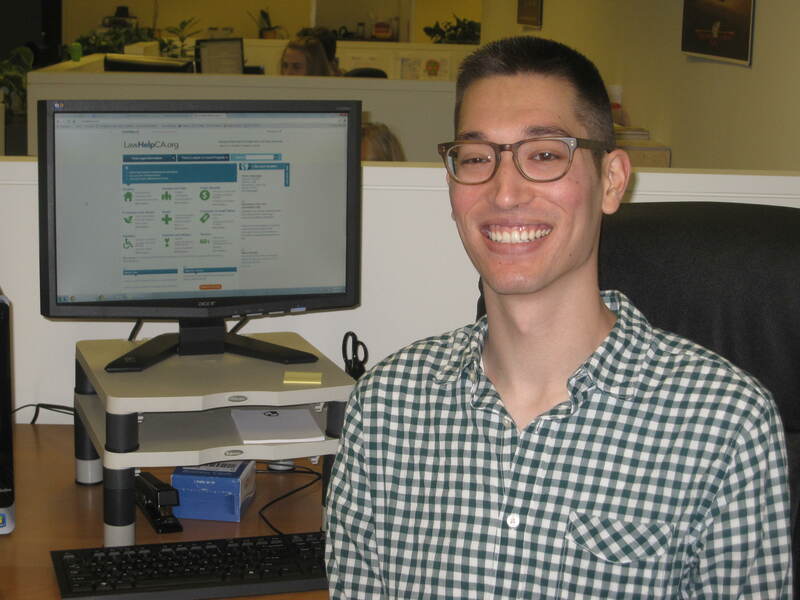 Meet Stephen Downey, new Program Associate working on our legal resource website – www.LawHelpCalifornia.org! Q: Stephen, what made you interested in working at OneJustice? A: Far too many people fall through the cracks when it comes to access to legal help. OneJustice does an amazing job filling these gaps, whether it’s by physically bringing attorneys to people in need, or providing basic legal information to everyday people like me! Q: Tell us more about your project! A: I’ll be responsible for the LawHelpCA website. By building upon its self-help legal resources, I hope Californians in all walks of life will feel empowered, even if they do not have access to an attorney. 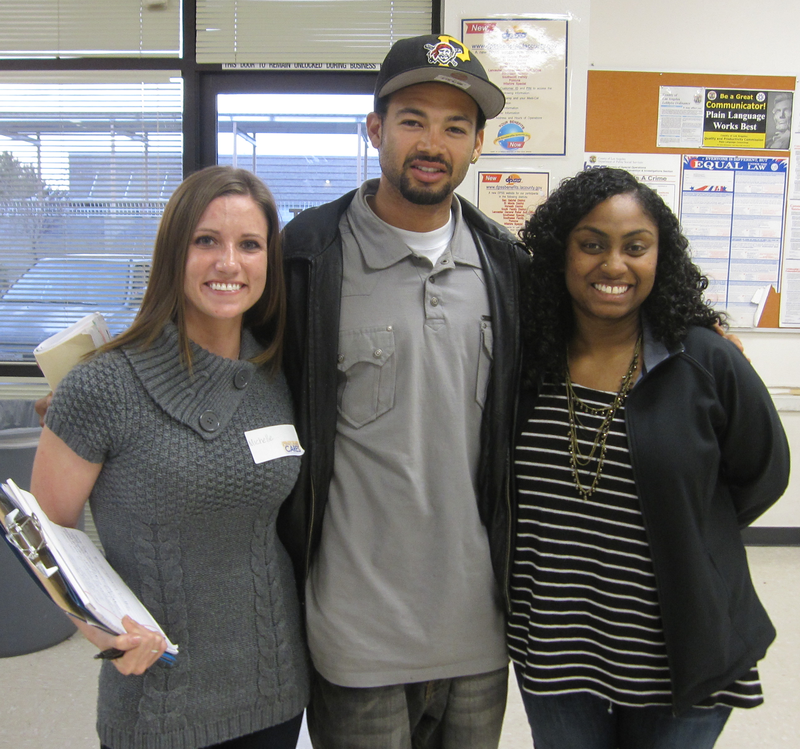 A: After graduating from UC Berkeley, I got involved with several nonprofits in the Bay Area. Most recently, I was working at Asian & Pacific Islander Wellness Center coordinating free trainings for HIV service providers and fighting HIV-related stigma in the A&PI community. Q: And tell us something quirky about you! A: On the weekends, I like to bust out board games to tend my farm, cure diseases, and settle catans. 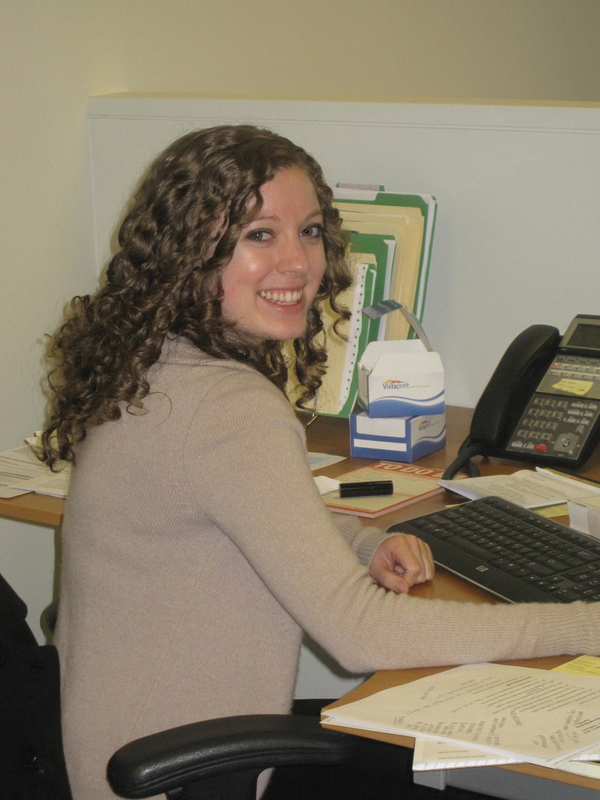 Meet Renae Getlin, new Executive and Administrative Assistant! 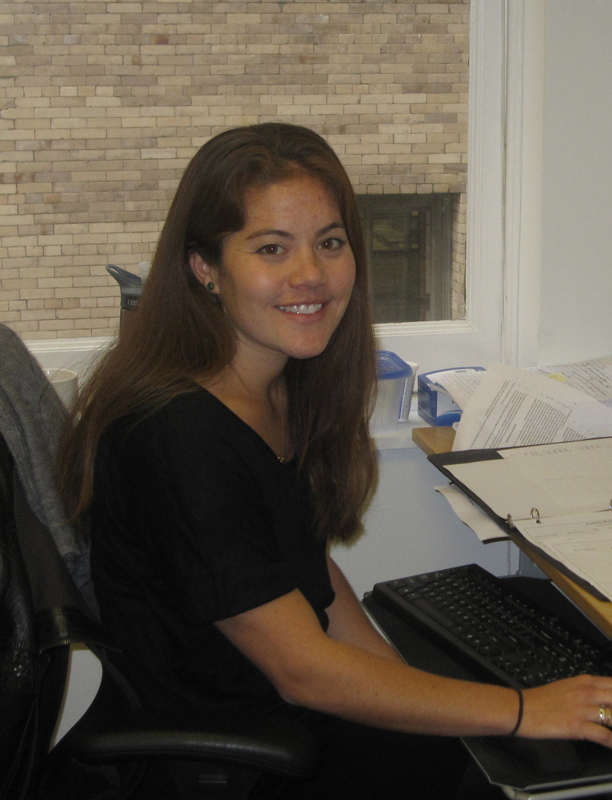 Renae provides a backbone of programmatic and administrative support! Q: Renae, what is your personal connection to OneJustice’s work? A: During college, I became passionate about the intersection of food and public health – particularly the disparity between our country’s ability to produce a huge surplus of food and its surprisingly high rate of hunger and starvation. I love that OneJustice recognizes this inequality and plays an essential role in helping disenfranchised community members access fresh food and other fundamental resources. Q: What will you be responsible for at OneJustice and what are your goals for that work? A: I will be responsible for providing administrative assistance to our Executive Director and the OneJustice team. By providing a backbone of support, I hope to help OneJustice better serve its network of nonprofits and our community members in need. A: I worked as a receptionist and records clerk at an East Bay law firm. While that experience gave me the administrative background to fill my new role at OneJustice, working with my community service group, Lambda Omicron Xi, opened my eyes to many social inequalities and gave me the passion and drive to seek out my position. Q: What is something else that we should know about you? A: I am food-obsessed. When I buy a new cookbook, I immediately sit down and read it cover to cover – ideally with Food Network running in the background. I grocery shop for fun, and my kitchen is definitely the most loved room in my apartment. Please join us in welcoming Lauren, Stephen, and Renae! And today’s guest blog from this award-winning champion for justice will break yours, too. 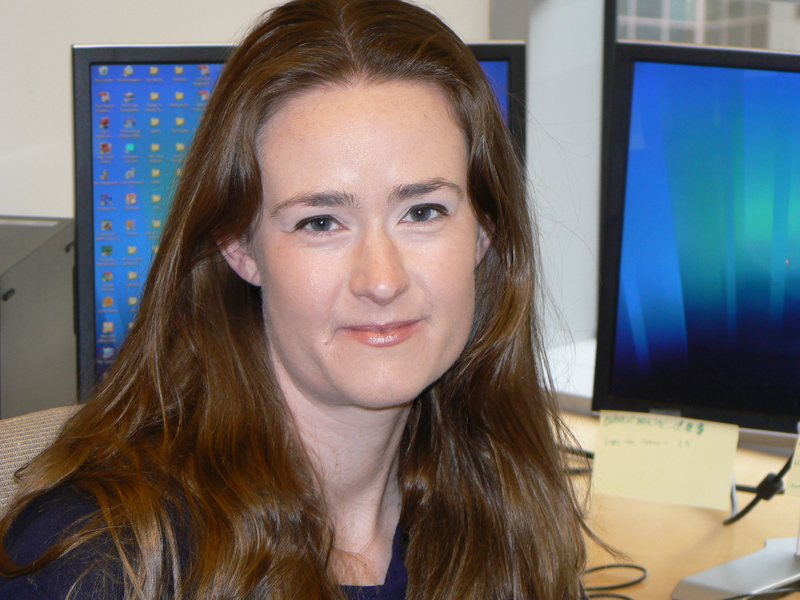 Introduction by Julia Wilson, Executive Director: Just about one year ago, the OneJustice network gathered at our annual Opening Doors to Justice event to celebrate the accomplishments of our community. A young woman took to the stage – and broke the hearts of the audience in just about 3 minutes flat. 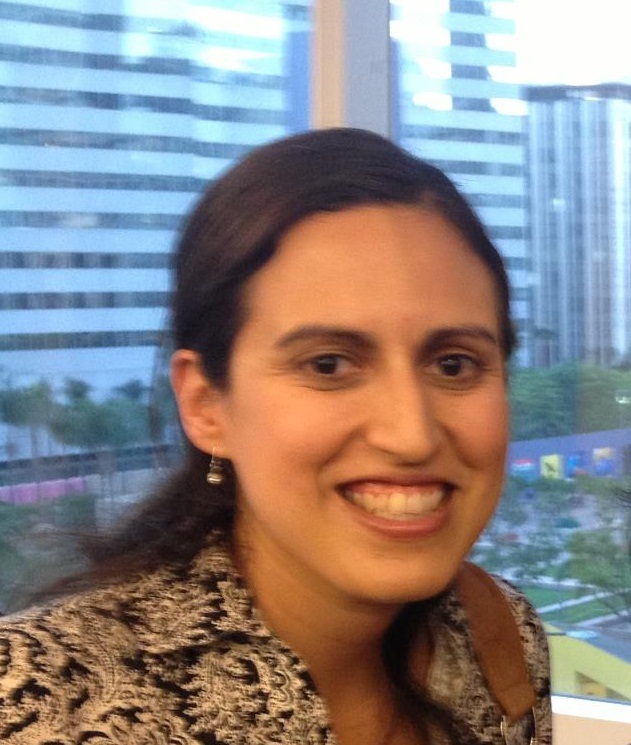 That woman was Ana de Alba, and later this week she will receive the prestigious Jack Berman Award of Achievement for Distinguished Service to the Profession and the Public from the California Young Lawyer’s Association. And boy, does she deserve it. We are so proud that she is part of the OneJustice network, and I will be in the audience next Friday night, cheering with all my heart and soul as she again takes the stage. Ana graciously agreed to provide a guest blog this week, revisiting her remarks from our stage one year ago. I know they will inspire you as they have inspired us! Ana de Alba resolved she would return to the Central Valley as an attorney and to make the legal system accessible to all. I am honored to stand before you tonight as a recipient of an “Opening Doors to Justice” award. What this award means to me can be best explained by sharing a story about a field worker from the Central Valley who was in desperate need of legal services. This particular individual lived in one of the small communities that dot highway 99. She and a crew of about 5 other women spent an entire summer working on a cucumber farm without getting paid. Although this woman, who was a bit braver and more outgoing than the others, demanded payment on their behalf, she was always told that they would get paid “next week.” “Next week” never came. They were upset, and rightfully so, each of them had young children to support and not only had they provided free labor for an entire summer, they had also paid for childcare, paid for a ride to and from the farm which was located 45 miles from their home, and in the end, they came home with nothing. They were ashamed and felt that they had let their families down. 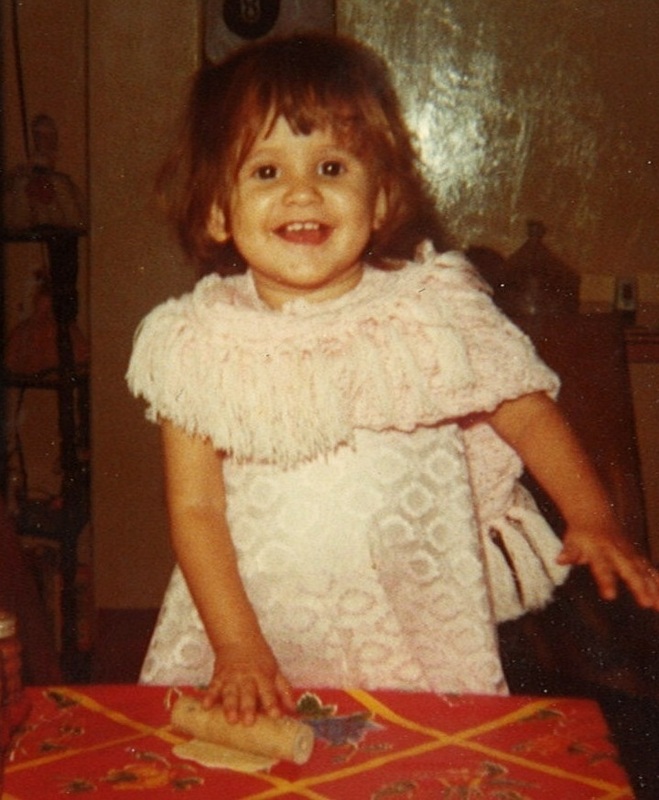 Ana, shown here at 3 years old, grew up in a small town in the Central Valley. Encouraged by her children to “fight this,” this woman called an attorney she randomly selected from the yellow pages who was kind enough to tell her that to seek redress she need only go to the Labor Commissioner. When she discovered, however, that the Labor Commissioner was located in Fresno, she was absolutely devastated. Fresno was over 60 miles from her home and filled with freeways and highways that she felt unable to drive on. Worse still, there was no way to get there using public transportation. In the end, none of these women sought out justice because it was simply too inaccessible to them. Thank you OneJustice for recognizing my efforts and for the great work you do throughout the state, thank you to my firm Lang, Richert & Patch for supporting me and allowing me to use their goodwill in our local legal community to promote pro bono, thank you Central California Legal Services and California Rural Legal Assistance for being at the front lines of these struggles, and thank you to my husband, daughter, parents, and siblings for giving me strength and always reminding me that the law really is a powerful tool for social change. What helps keep children healthy? Access to an attorney! An apple a day? What really helps keep low-income children healthy is access to medical care – and that often takes access to an attorney! In theory, our state’s low-income children should all have access to health care through a complex array of state and private health programs. To be able to take their children to the doctor, parents frequently have to navigate the complicated map of Medi-Cal, AIM, Healthy Families, CHDP (Children’s Health & Disability Prevention) and privately available coverage. 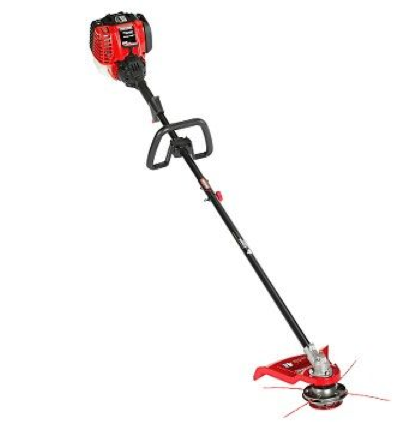 But, as a recent article in the New York Times Parenting blog so aptly states, enrolling in these programs can be like clearing a jungle of red tape with a weed wacker! (“When Parents Can’t Enroll in Medicaid, Children Stay Uninsured,” by Bryce Covert, 9/26/12). families, just figuring out which program to apply for – or how it interacts with privately available health insurance – is more complicated than filling out annual IRS tax return forms (and we all know how much fun those forms are!). In some families, older and younger children are actually eligible for different health programs – with different types of access to medical care. And if the parents’ income changes, children may have to transition from one health program to another. Applying for these programs thrusts parents into a sometimes bizarre world of legal eligibility, federal and state regulations, confusing formulas for counting families’ income, and stacks and stacks of paperwork to fill out. This maze of bureaucracy sadly leads to some children being incorrectly denied access to health insurance programs for which they are actually eligible – preventing them from accessing doctor appointments, medical treatment, and more. Nonprofit legal organizations and their attorneys can be the weed wackers that cut through red tape and increase children’s access to health care. And even if parents are able to thread the application needles and obtain health coverage for their children, sometimes it is difficult to get the medical care prescribed by the doctor. Both private and state health coverage programs have complicated review structures and just because a doctor writes a prescription for medicine, a piece of durable medical equipment, or speech or physical therapy is no guarantee that the health coverage program will actually approve – and provide – it. This is where the lawyers come in. Because these kids – and their families – face a sometimes overwhelming set of legal rules and regulations, lawyers are the ones who can serve as the weed wackers needed to cut through all the red tape. When kids apply for a program and are denied, they have a right to appeal that decision – and that often takes a lawyer. When a doctor prescribes a piece of medical equipment or a course of speech therapy that is denied by the health insurance plan, the family can appeal – and that often takes a lawyer. Lawyers can be the ones who slice through the legal issues – allowing families and doctors to focus on what is most important – actually getting a child the treatment she needs. In fact, there is a statewide network of nonprofit legal organizations that have formed the Health Consumer Alliance to focus on exactly that work – and their website, www.healthconsumer.org, has a wealth of resources for families. 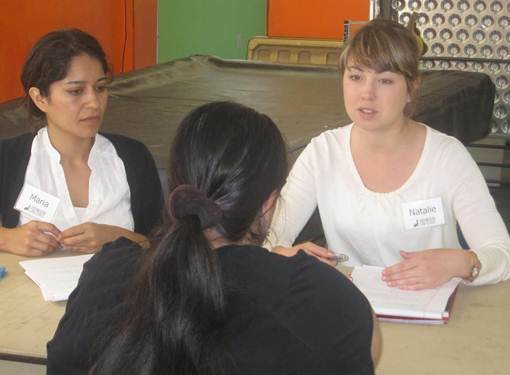 The Medical-Legal Partnership for Children Team in Seattle combines medical and legal professionals. Increasingly, doctors are also bringing lawyers into the medical system as team members in preventing children’s health problems. 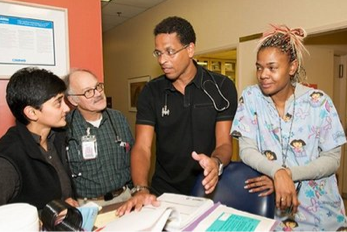 These Medical-Legal Partnerships bring nonprofit legal organizations and their attorneys into the hospitals and medical clinics to work side by side with the doctors, providing legal assistance to children and families that complements the medical treatment they need. For example, when a little boy with life-threatening asthma comes to a clinic, the doctor can prescribe the various inhalers he needs. But when that boy returns to his mold-infested apartment – his asthma is triggered once again. In these Medical-Legal Partnerships, the doctor can make a same-day referral to the attorney (sitting in the next office over) who then gets to work on negotiating with the family’s landlord to correct the illegal mold problem. The little boy ends up with a safe housing environment and the prescriptions – a preventative legal measure coupled with medical treatment. California is home to many of these cutting-edge collaborations. Some of these programs have lawyers doing rounds with the medical teams, and some even train law and medical students on how to work together. Can we actually imagine a day when doctors and lawyers think of themselves first as allies in improving children’s health, rather than as antagonists over medical malpractice and other legal issues? Today – October 1st – is national Children’s Health Day. Created in 1928 by President Calvin Coolidge to spark or increase people’s awareness of ways to minimize or alleviate health problems that children may face, the day focuses on a range of child health issues such as prenatal care, adolescent health, the impact of daycare on a child’s development, preventing injuries, healthy eating and lifestyle choices, and immunization. As part of the annual presidential proclamation for the day, organizations interested in child welfare are invited to observe exercises to stimulate or increase people’s awareness of the need for a year-round program to protect and develop children’s health in the United States, and health professionals and health organizations across the United States take part in this day through various activities and events. And did you know we are Pinning? Pinterest (a content sharing service that allows members to “pin” images, videos and other objects to an online scrapbook) is growing increasingly popular as the next social media site. While most people use the visual bookmarking site to plan weddings, sketch out gardens, or share clothes, jewelry and other designs, nonprofits are starting to use the site to communicate their mission and share helpful links and resources – and so are we! So in honor of Children’s Health Day, we created a board dedicated to helping families find the health coverage programs – and legal advocates – that their kids might need. Happy Pinning! Tell us what you think – can you imagine a day when there is a lawyer assigned to every medical team to ensure a holistic approach to the legal barriers that cause health problems? OneJustice network to tell us – WHO IS YOUR ACCESS TO JUSTICE HERO? Who would you recognize for her dedication to helping low-income communities resolve their pressing legal problems? 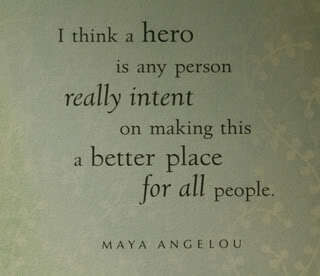 Whom should we be honoring for his work to remove barriers to justice? Who are the heroes in the California legal services and pro bono delivery system – both the heralded and the unsung – who have inspired YOU to get or stay involved? 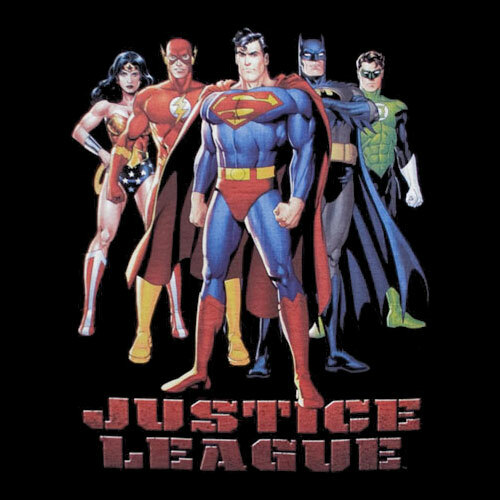 Who should OneJustice include in our version of the justice league? courage. I am a better person for having the honor of working with them – and I will remember them for the rest of my life. They are the reason I go to work each day driven to bring more justice into the world, to engage more lawyers and law students in volunteer work, and to advocate for more funding for nonprofit legal organizations. I hold them all in my heart still today, and they are my heroes. 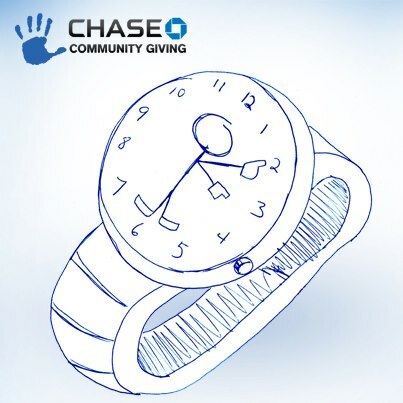 ning for a $10,000 grant through the Chase Community Giving program. But time is running out! VOTING CLOSES THIS WEDNESDAY – and if you vote for us, we will use 100% of the grant to expand the Justice Bus trips providing immigration assistance in 2013.